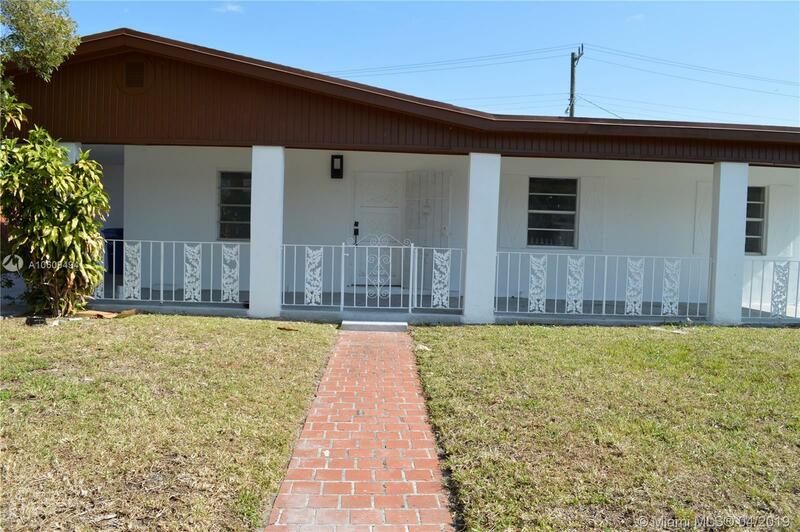 Great property in Miami Gardens. 4 Bedrooms 2 bathrooms. Home is being improved. It has been completely painted. New floors. New lamps. Upgraded kitchen. It will be deliver with brand new washer/dryer and stainless steel refrigerator/stove/dishwasher. New A/C. Upgraded bathrooms. Great size rooms and closets. Walking closet in master. Great patio. Big shed. Roof is aprox. 2 yr old. Partially fenced. Sliding doors to the patio.